RSpec 3.1 is here and should be a trivial upgrade for any 3.0 users. There are a number of notable changes with project maintainer Myron Marston shows off in this post. Integration tests involving Ruby and JS are fraught with issues. Developers complain of tests which fail erratically, but it’s possible to write reliable, asynchronous integration tests by following some easy-to-remember guidelines. Justin Weiss looks at how Rails 5, due next year, will require Ruby 2.2 and how Ruby 2's new functionality will have an effect on the infamous alias_method_chain method. 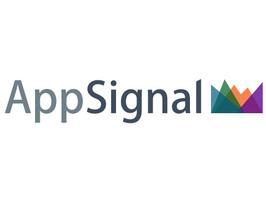 AppSignal alerts you to errors, performance issues, deploys, and monitors your background jobs and more. Every plan supports unlimited apps and hosts, no server-based pricing. Try us out for free, be up and running in 5 minutes, and we'll send you a box of stroopwafels too. Despite the title being tongue in cheek, Koichi Sasada notes that MRI copes poorly with large numbers of lambdas compared to JRuby and even mruby. An interesting look at porting the same script from Ruby to Elixir in three different ways, becoming increasingly idiomatic each time. If you’re not familiar with it, Elixir is a functional language built on top of the Erlang VM that shares some stylistic similarities to Ruby. A look at one of Rails’ protection mechanisms from Cross Site Request Forgery (CSRF).